Previously, Wilcox told Bloomberg other selling points Texas offered included lower costs and a larger aviation infrastructure which exists because of the Dallas-based Southwest Airlines and Fort Worth-based American Airlines. The boutique charter airline allows travelers to rent a private, small jet. Currently, their daily flights only cover select California cities and Las Vegas, Nevada. JetSuite intends to expand its destinations. The CEO also has high hopes for the other side of their business, JetSuiteX, where individuals can purchase a seat on one of their charter flights to avoid the hassle of larger airports. One-way ticket fares start at $129. The company plans to grow its consumer reach with a fleet of regional small jets to 100. Wilcox told the Business Journal that JetSuite revenues range between $55 million and $60 million while JetSuiteX accounts for $50 million in earnings. In 2009, Wilcox co-founded the Irvine, California, based business. Previously, he was a founding executive of JetBlue Airways. In 2016, JetSuite sold an expanded stake of the company to JetBlue, which allowed the private airliner to beef up JetSuiteX. 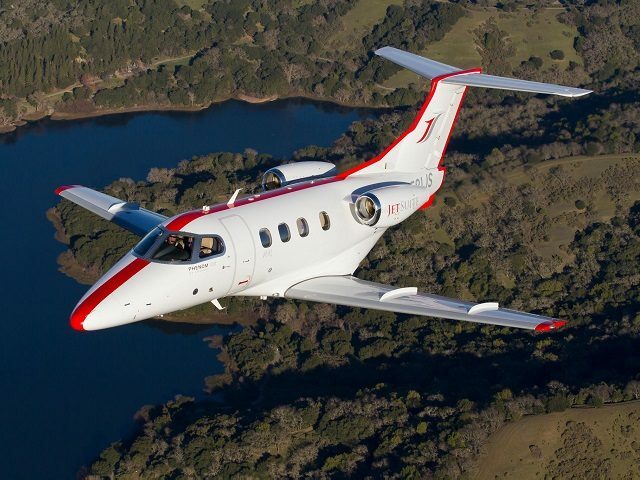 This week, JetSuite announced it sold a minor stake to Qatar Airways. Federal law limits foreign investments in a U.S. air carrier to 25 percent, noted Bloomberg. The size of this investment has not yet been disclosed, however, it follows the Qatari airline’s failed attempt to acquire 10 percent of American Airlines. JetSuite’s website says the company is certified by the International Standard for Business Aircraft Operations (IS-BAO). Recognized independent safety auditors ARG/US ranked them #1 in light jet utilization. They also rated them with highest safety rating achievable in civil aviation. The airline’s move to Texas highlights the continued exodus of companies from the business-unfriendly California. From 2008 to 2015, an estimated 9,000 companies left California, of which Texas was the top beneficiary of the relocations, During those seven years, California corporations accounted for 15 percent of companies that moved their headquarters or expanded operations into pro-business Texas. In many instances, the state incentivized out-of-state companies to expand into the state with the goal of creating more jobs and economic growth within Texas through the Texas Enterprise Fund. Likewise, Californians comprise the largest number of the state’s transplants.